In 2012 she obtained the PhD in Human Genetics from Open University UK in a joint program with the Telethon Institute of Genetics and Medicine Naples (TIGEM), and she then moved to Massachusetts Institute of Technology where she worked as postdoctoral fellow at the Synthetic Biology Center of MIT. She was awarded with the Junior Research Fellowship from Imperial College London in 2015 to conduct her independent research in the Department of Medicine. 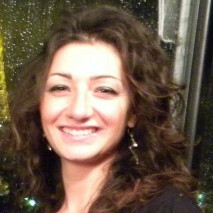 In 2017 she won the Proof of Concept grant from SynbiCITE London and she is part of a H2020 consortium grant led by Prof. diBernardo (TIGEM, Naples).